Six years ago I was a happy Hammer. Happy because I didn’t know what the joy was in watching football without Big Brother(s) watching over me, telling me when to sit, stand, shout and be quiet. 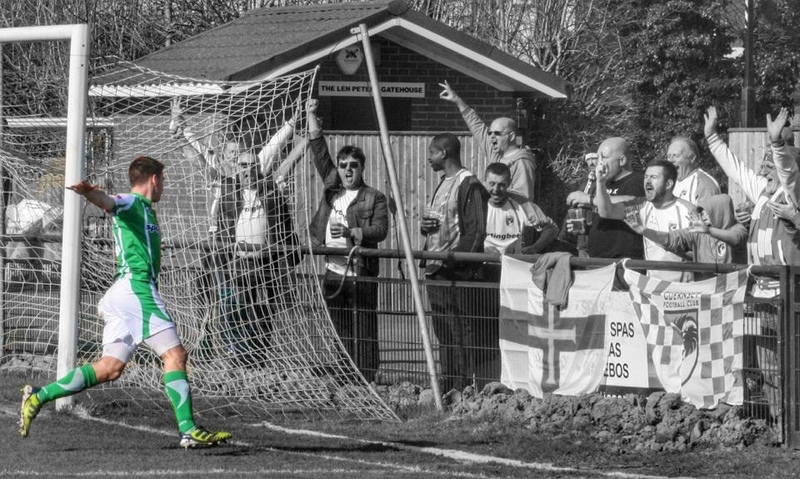 My epiphany came when I started going to watch Non-League football on a regular basis. One of the first games in my “new life “was at Grays Athletic at Their New Recreation Ground against Canvey Island (how life has changed for all partied involved!). During the next few seasons I started going more regularly to Non-League games, discovering new places that were almost on my doorstep. Once I chose a Forest Green Rovers versus Oxford United over West Ham v Fulham I knew I was on a slippery slope. 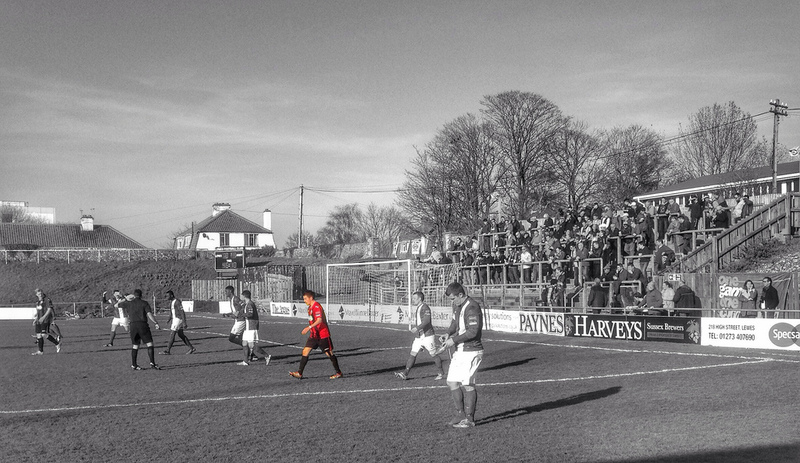 My first game at the Dripping Pan was a Conference Premier game against today’s visitors Grays Athletic. It was the club’s one and only season in the highest level of Non-League football. 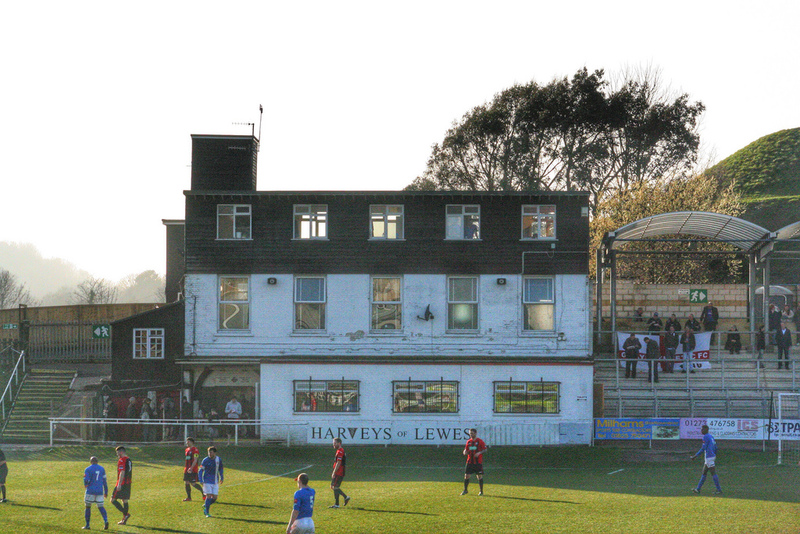 If ever there was a club that were a fish out of water, then it was Lewes during the 2008/09 season. Just six wins and six draws all season, including just seven points taken on their travels the team were relegated by Easter. Speaking to those who experienced the whole season tell the tale of not only the club being out of their depth but also of the joyless environment of playing at this level. The club had to implement segregation, stop people drinking on the terraces and even have a sponsors board to facilitate live interviews post match. Anyone who has visited the Pan since knows that is not how we do things. 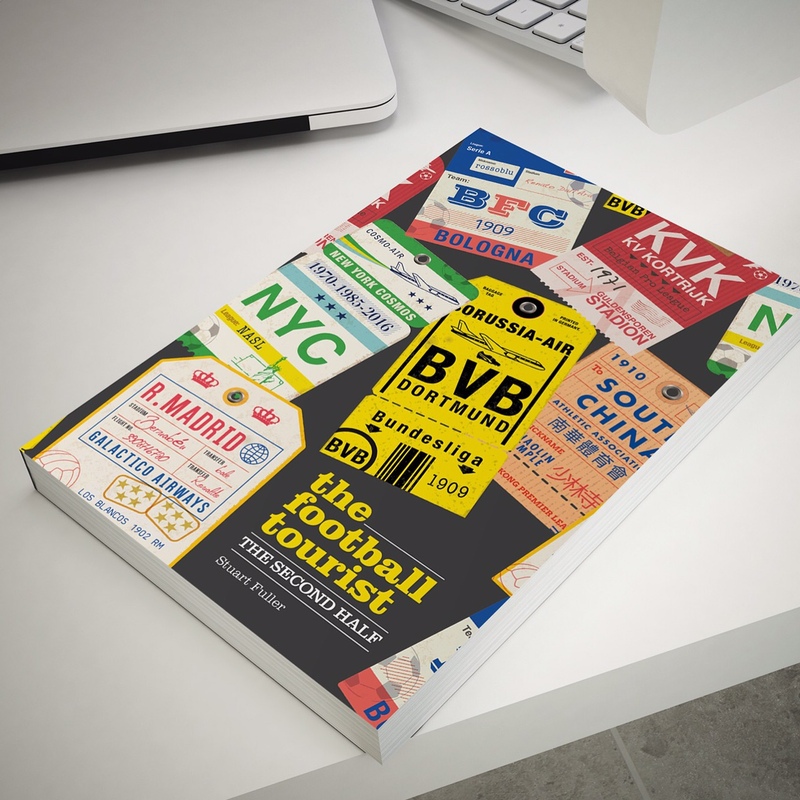 Last year I was asked to contribute to a book – the task being to write “How I fell in love with my club” in less than 3,000 words. I didn’t choose West Ham, the club I had supported for the best part of thirty years of my life. I chose Lewes. 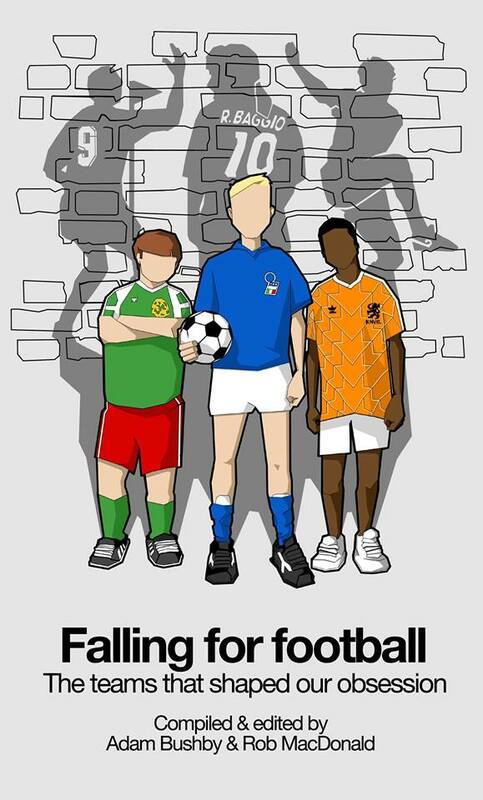 Last week the book was finally published by Ockley Books and not only features a chapter on Lewes, but similar ones on Weymouth, Tooting and Mitcham and the 1990 Cameroon World Cup Squad. What the book tells me is that I am not alone in upgrading my footballing pleasure. Today the club is very happy playing two levels below the Conference Premier. Crowds are increasing, bar takings are up and the football is making people smile once again. Our ambition is to play at a higher level but as a board we will always make sure every step is a sustainable and financially viable. Today we welcomed Grays Athletic, a club who had endured a similar annus decadus. Whilst Lewes’s free fall had been almost terminal, we always had the parachute of our ground. Grays haven’t had that luxury and have endured somewhat of a nomadic existence since the heady days of finishing third in the Conference Premier and back to back FA Trophy wins. Their Recreation Ground was sold to developers in 2010 and since they have ground shared with East Thurrock, West Ham reserves and now Aveley. It had only been ten days since we last faced Grays, losing 4-2 in an entertaining game at Mill Field. 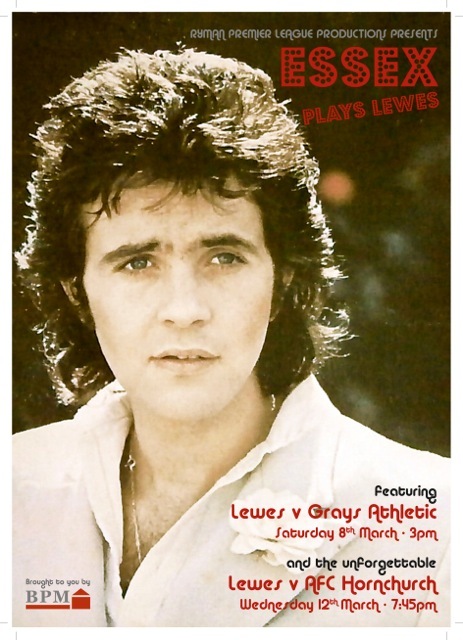 Since then both sides had played two league games, winning them both as too had Lewes. Two weeks ago both sides would have put the file “Play Off Chances” in the filing cabinet but with games in hand over those above both sides who knows what could happen, especially as the respective home form has been so strong. For the first time it seemed in years we had experienced a week of sunshine in London. Spring was here and to celebrate I even took in a bonus early game at Three Bridges where they took on Ross Allen. Well, Allen and ten of his team mates from Guernsey but it is all about Allen at the moment and his four goals ensured that the Islanders would be returning home with all three points along with their duty-free. Some snaps from the game can be found here. A great start to the day. Could The Rooks keep the feel-good mood up? It was nailed on. Hmm…If ever there was an example of “after the Lord Mayor’s Show” it was this game. The players looked tired, the fans looked tired, even the officials had a tinge of lethargy about their performance. Make no mistake, Grays deserved their win by simply having the one real chance on goal and converting it. It is fair to say that this would have been the last game on Match of the Day – probably after the final credits had rolled. It had been a hard seven days for the Rooks. The two wins over the league leaders had taken a lot out of the team, and with a paper-thin squad, three days to patch up the team and send them out again isn’t long. But then again Grays are in the same boat, facing at least two games a week until the end of the season. For them they have found the momentum that they had at the start of the season then lost in the Autumn. The crowd was down by 150 on average, the combination of three home games in eight days, the sunshine and of course Brighton & Hove Albion being at home at 3pm down the road. It hadn’t started well, losing the toss and having to change ends, throwing our routine completely out of kilter. Even the beer was having an off day in the bar. Pump problems meant the Harvey’s Best was out of service – a sure sign like the Ravens leaving The Tower of London that the Rooks would be brought down to earth and sure enough Joao Carlos’s header in the 25th minute was enough to give the Essexmen all three points. But this was but a lover’s tiff in a long-term marriage. The Rooks would be back – in fact we’d only have to wait four days to see them again as AFC Hornchurch would be the visitors on Wednesday night. It only took me 90 minutes of sunshine in a season of gloom to fall in love for the first time. I was hardly likely to ask for a divorce after one poor match was I? 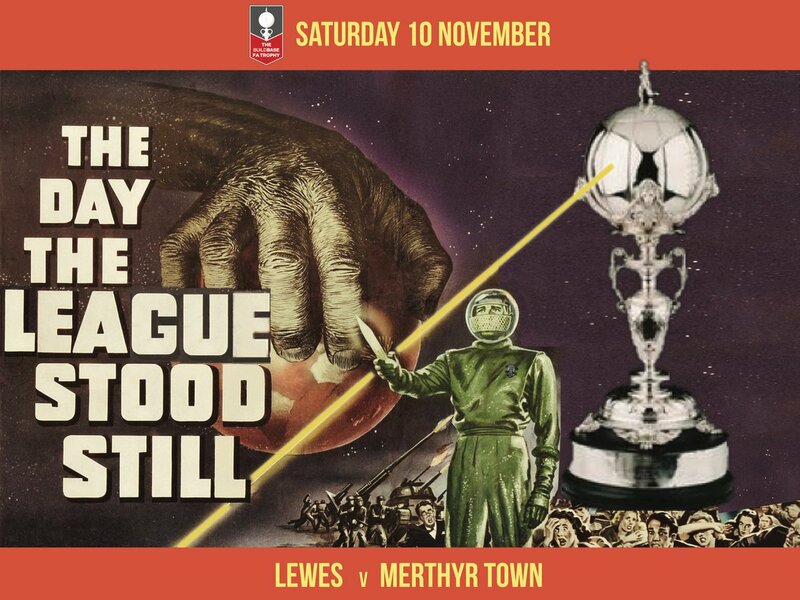 This entry was posted in Lewes FC, Non league football, Rymans Premier and tagged Grays Athletic, Lewes, Ryman Premier League. Bookmark the permalink.